Instructables member MisterM has published a new tutorial to build your very own bat camera, using the awesome Raspberry Pi and its night vision camera module. Check out the video below to learn more about this awesome bat camera which is capable of capturing images of flying bats in pitch black and is also handy for recording lightning flashes says its designer. The Batinator is a portable Raspberry Pi that uses a PinoIR (No Infrared Filter) camera module to record video in the dark at 90 frames per second, 640×480 resolution. It features a 48 LED infrared illuminator on top and the power is provided by a re-purposed 12v rechargeable drill battery. I’ve recently become fascinated by the bats that visit our garden of an evening and built this to try and catch the little beauties on film. 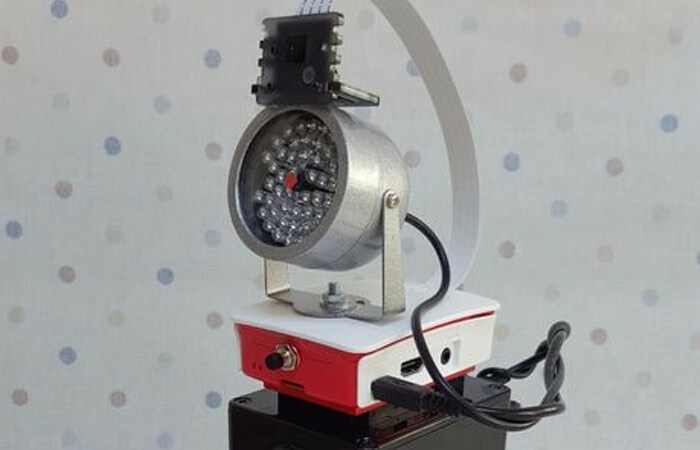 For more information on the new Raspberry Pi Batinator infrared bat camera jump over to the Instructables website for details by following the link below. If you enjoy building Pi projects you might be interested in our comprehensive list of Raspberry Pi displays, HATS and small screens.